Do you ever notice a link between what you are making and the world around you, a kind of theme? sometimes it creeps up on you and then you realize where the inspiration is twinkling at you from. the little things that catch our eye every day and call to us. 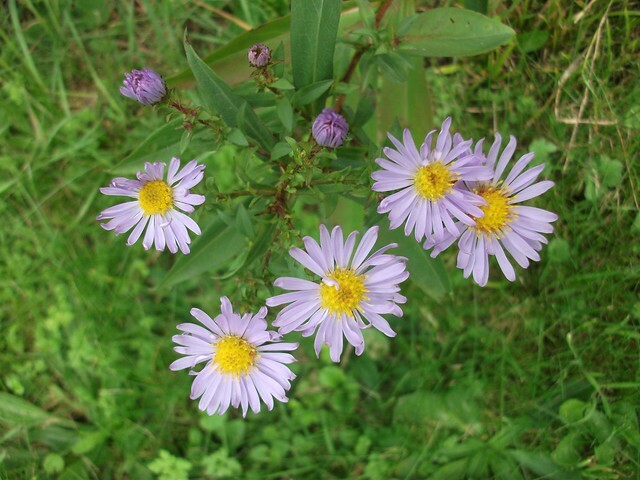 See the pretty mauve flowers in both pictures, I was very tempted to add a little strip of mauve here! but I carried on with the oatmeal colour, which I'm also loving. This is my current favourite neutral colour. It keeps on appearing in my projects. 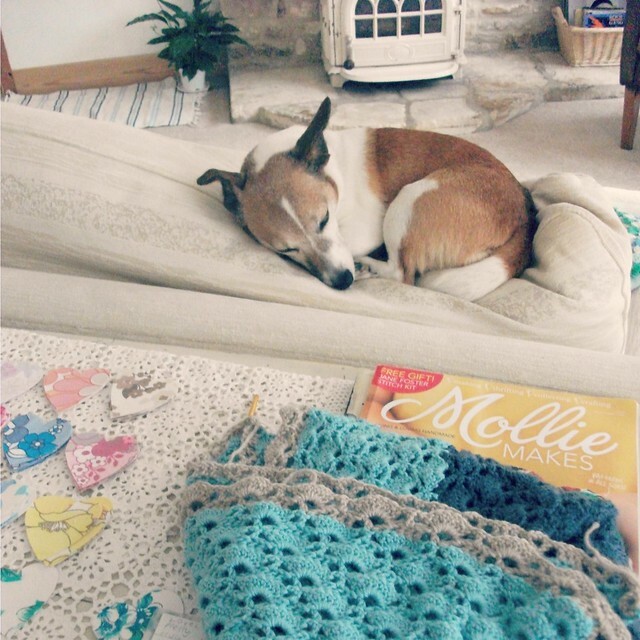 I spent some time here quietly crocheting, then I noticed the colour of the head board (a pretty table cloth!) the flowers and the colours of my shawl! This was a lovely rythmic pattern to work with. The shells are very addictive! Sometimes watched by you know who, until the excitement became too much. A sweet little spot to snooze don't you think. It's all moved around again now! 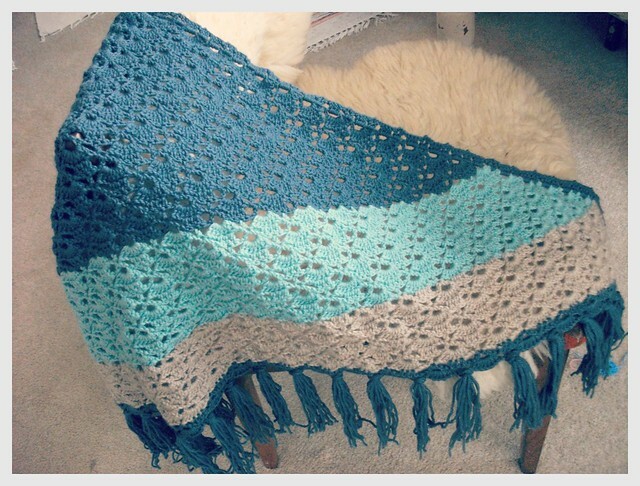 okay, here she is my september shawlette, finished in october. I had a big 'to tassle or not to tassle' moment, but it felt as though it needed something else. My blocks of colour were quite heavy and I wanted to balance the blue, without making more stripes. the tassles were fun, my first ever tassles!! nice and drapey is good! as it might be the wrong way round! I am practising 'done but not perfect' these days. It's absolutely stunning! The tassles are spot on and the oatmeal is gorgeous, I can see why you use it a lot. Must be a wonderful shawlette to wear! Congrats! Your shawl is really beautiful and I like to imagine it with a pair of jeans and wellies!!!! I love your beautiful shawl Heather - it's very elegant yet cosy and romantic! Your colours are gorgeous together and the fringe and blue edge finish it off so well! I'm seeing more and more that we are surrounded by 'those themes' and I'm trying to really take the time to recognise and appreciate them more, thank you. 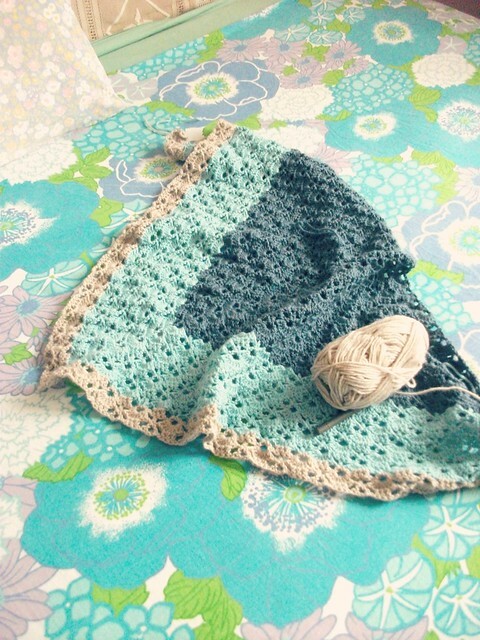 The shawl looks really good, Shell stitch is one of my favourite crochet stitch. Oh my goodness Heather!! 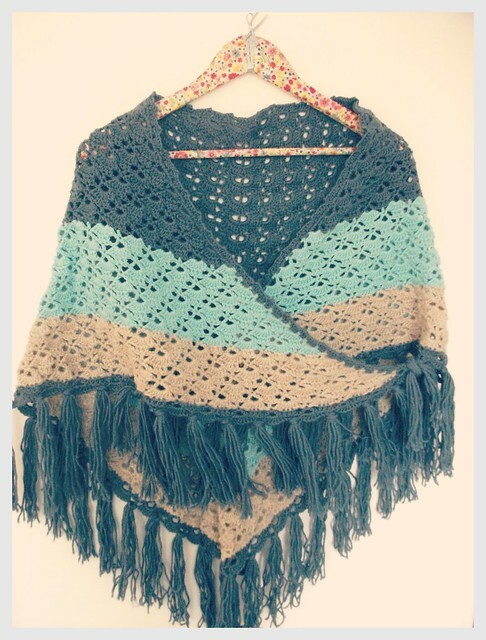 That shawl is so so beautiful.. you are so talented, I would love to be able to make myself something so gorgeous! 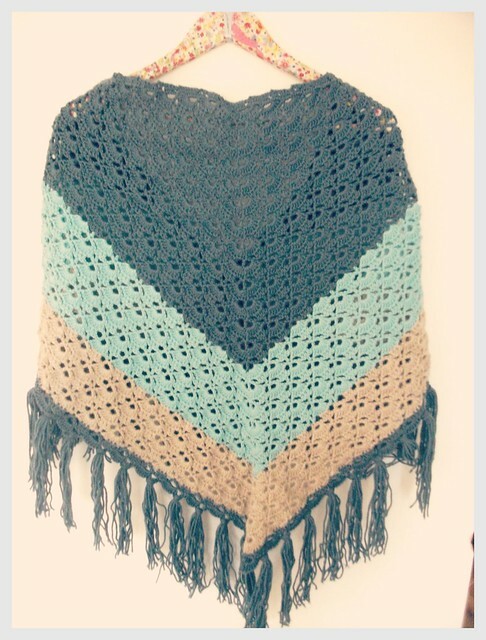 Do you sell shawls like this one in your Etsy shop? 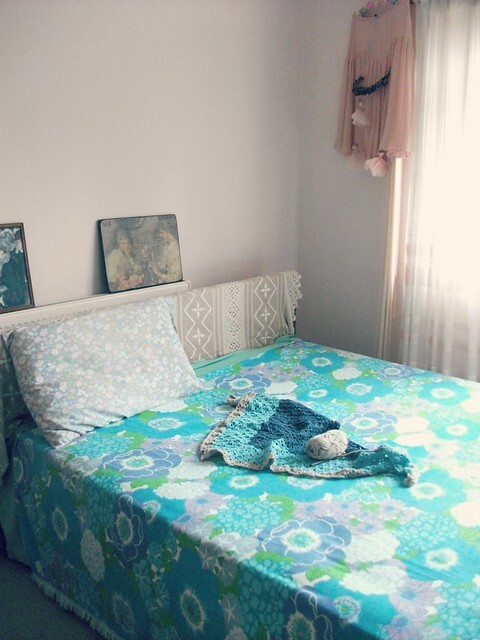 I also adore that vintage blue in the bedroom. You have great taste.